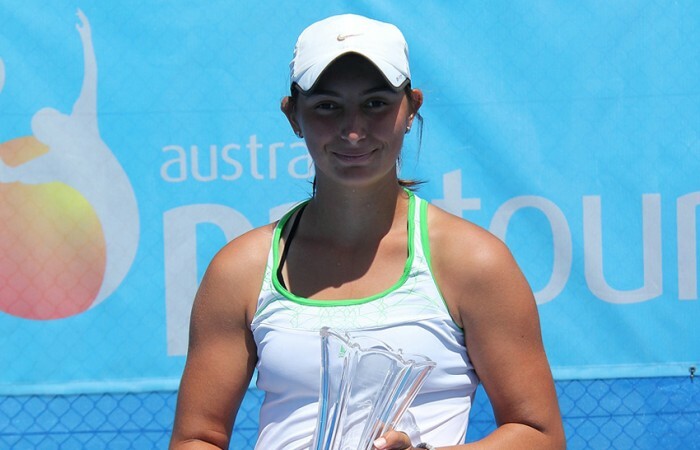 Viktorija Rajicic has claimed her first ITF title with a win at the $10,000 Nature's Way Sydney International #2 Pro Tour event on Sunday. Viktorija Rajicic has claimed her first ITF title with a win at the $10,000 Nature’s Way Sydney International #2 Pro Tour event on Sunday. 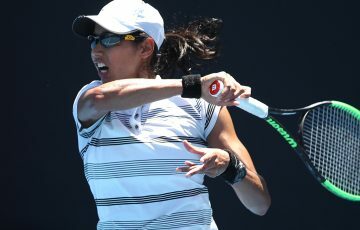 Rajicic, the second seed, defeated top seed Jessica Moore 5-7 6-3 6-2 in the final at Sydney Olympic Park Tennis Centre. Although she fought fatigue during the first set, Rajicic recovered to claim victory, something she described as a confidence boost. “It’s my first Pro Tour title, it’s exciting. 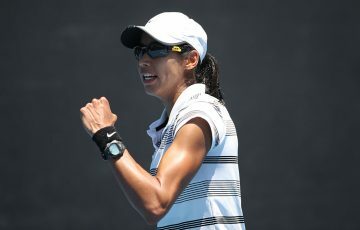 I played well so it’s always good to finish off with a great match,” she said. “I have been working pretty hard over the last couple of months. I’ve been playing well at a few of the Australian tournaments. 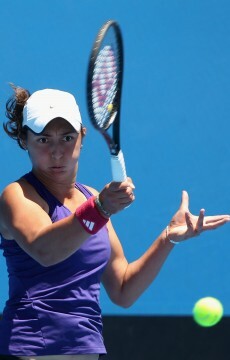 “Adam Molenda has been coaching me over the last week here in Sydney and has helped me a lot. He has made me train before and after every single match and I guess that has pushed me and it has ended up working well. 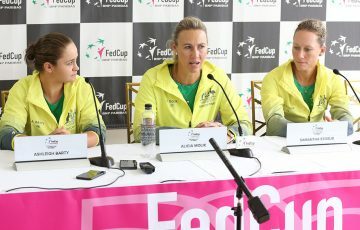 It was the first time Rajicic had appeared in a final since the Mildura Pro Tour event in February 2012, where she lost to Ash Barty. The 18-year-old next plans to contest qualifying at next week’s Ipswich Pro Tour event, and also expects to contest the tournament in Bundaberg. In late May, she plans to head to Europe to play $25,000k ITF events. In the doubles final, second seeds Tyra Calderwood and Alison Bai won the title in Sydney over Moore and Anja Dokic 7-6(3) 6-4.